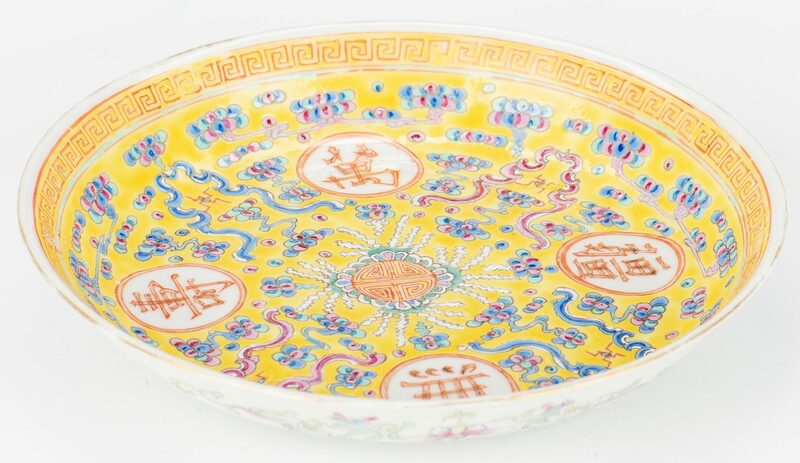 Lot 310: 5 Chinese Yellow Ground Enamel Decorated Pcs. 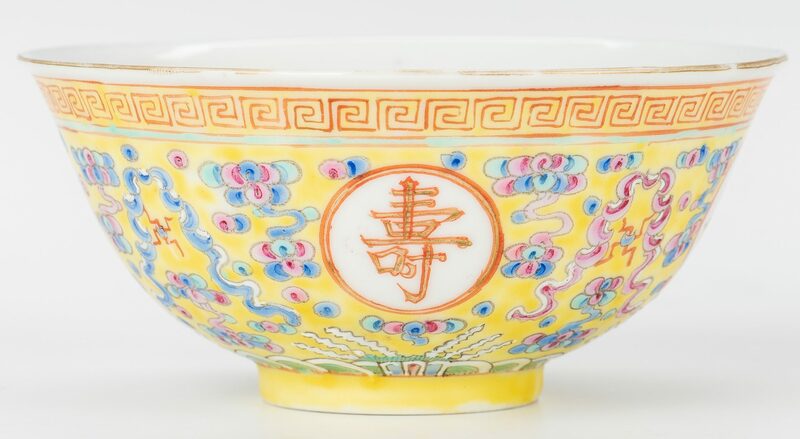 You are here: Home >> April 27, 2019 Spring Discovery Auction >> Lot 310: 5 Chinese Yellow Ground Enamel Decorated Pcs. 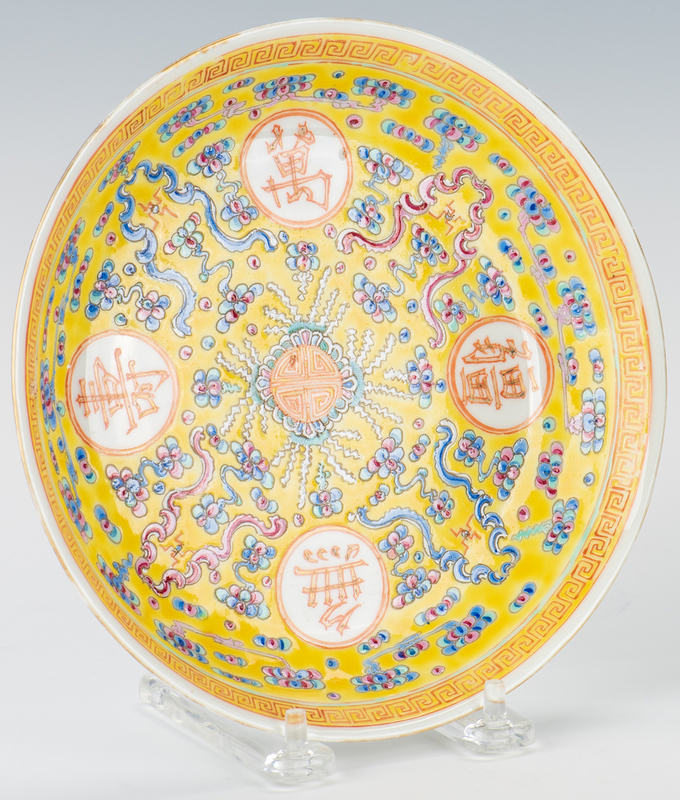 Five (5) Chinese Yellow Ground Enamel Decorated Pieces. 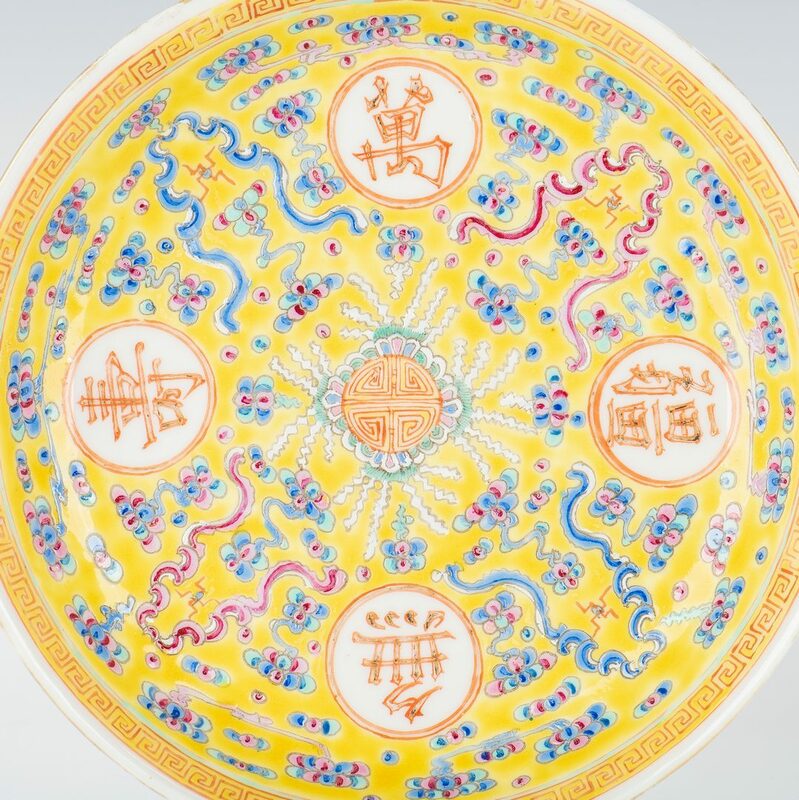 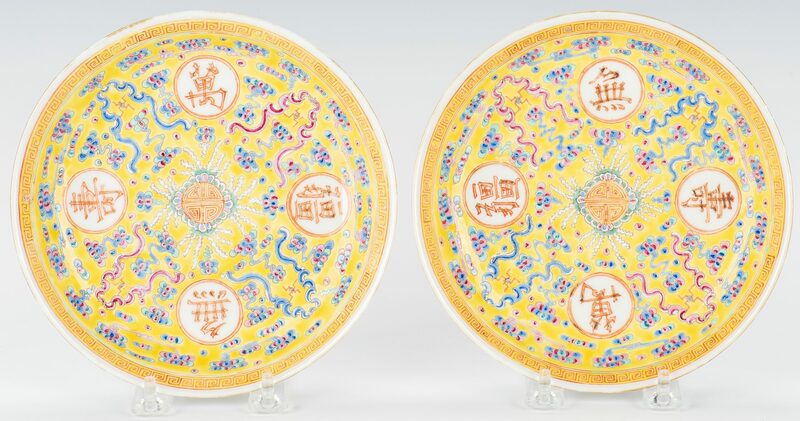 1st & 2nd items: Pair of Chinese enameled porcelain Famille Jaune plates having a yellow ground enameled decoration to the interior including a longevity symbol to the center flanked by 4 encircled character marks, and fretwork border. 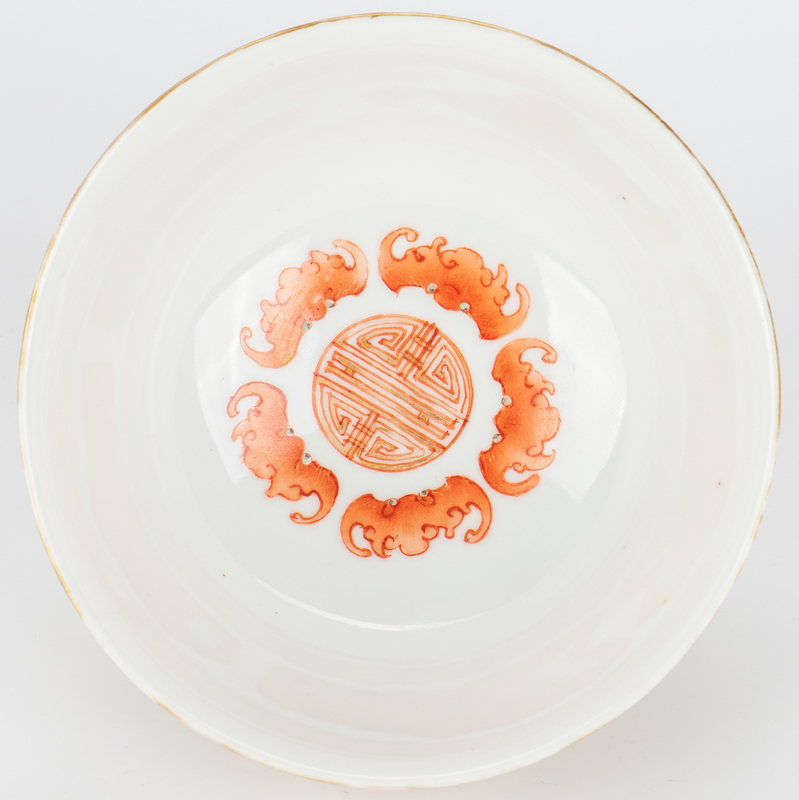 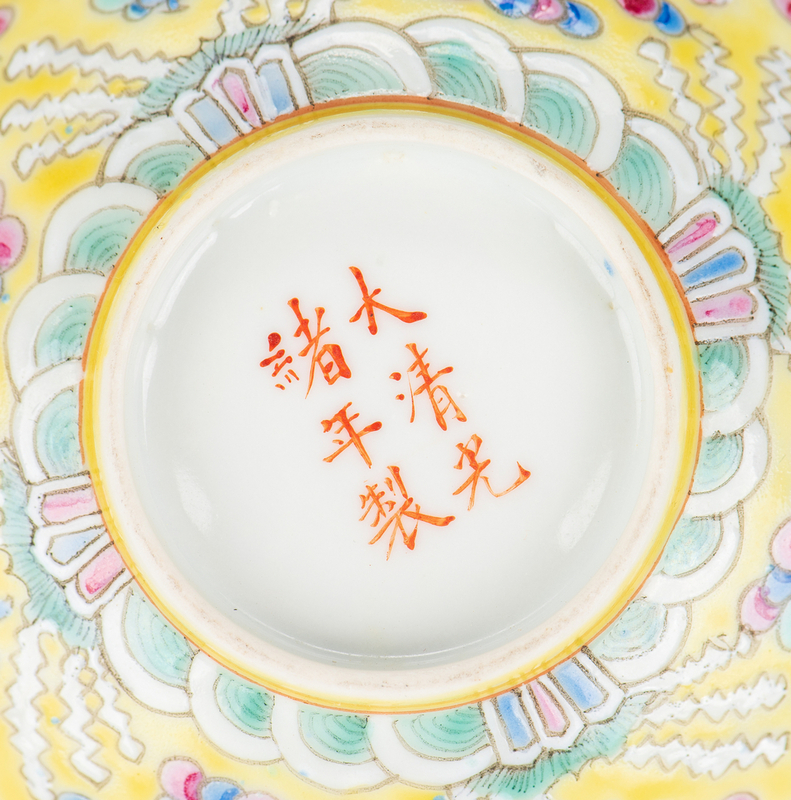 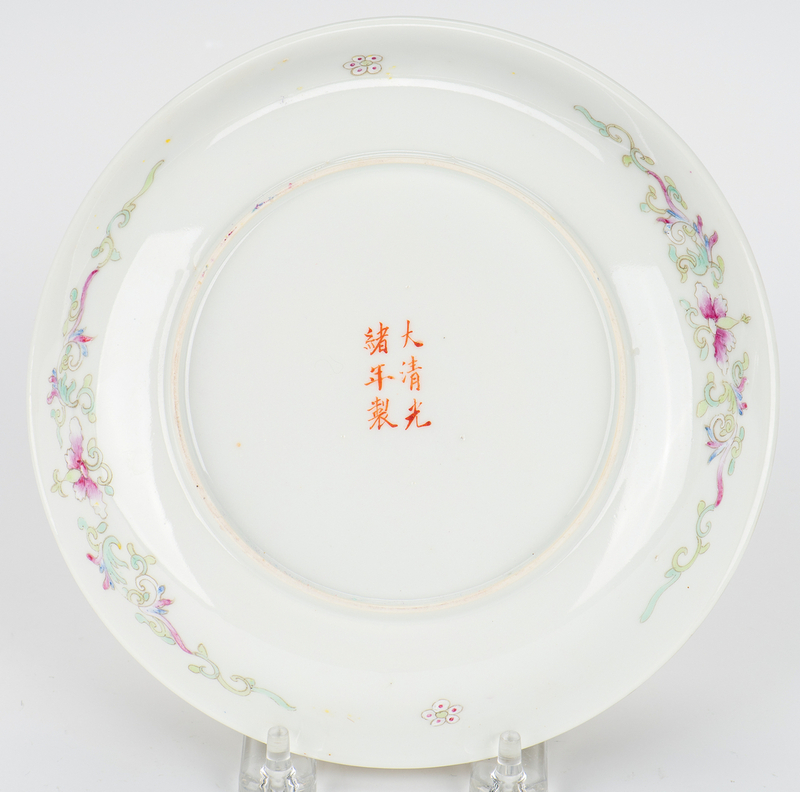 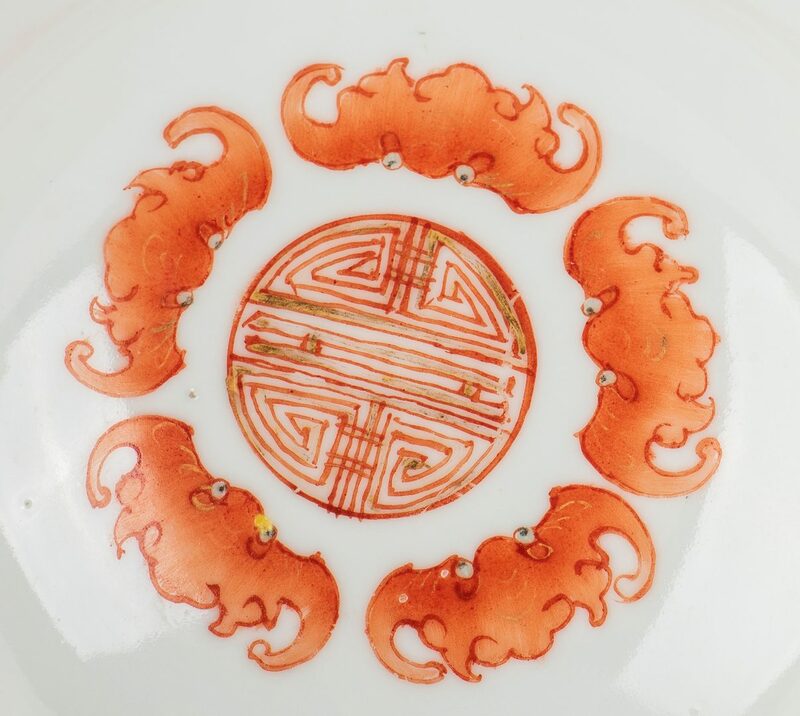 Underside with enameled floral decoration together with a red six character Kuang Hsu mark. 7 1/8" dia. 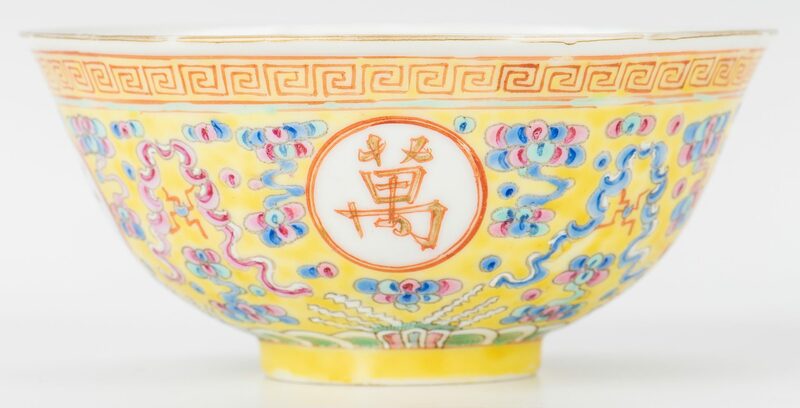 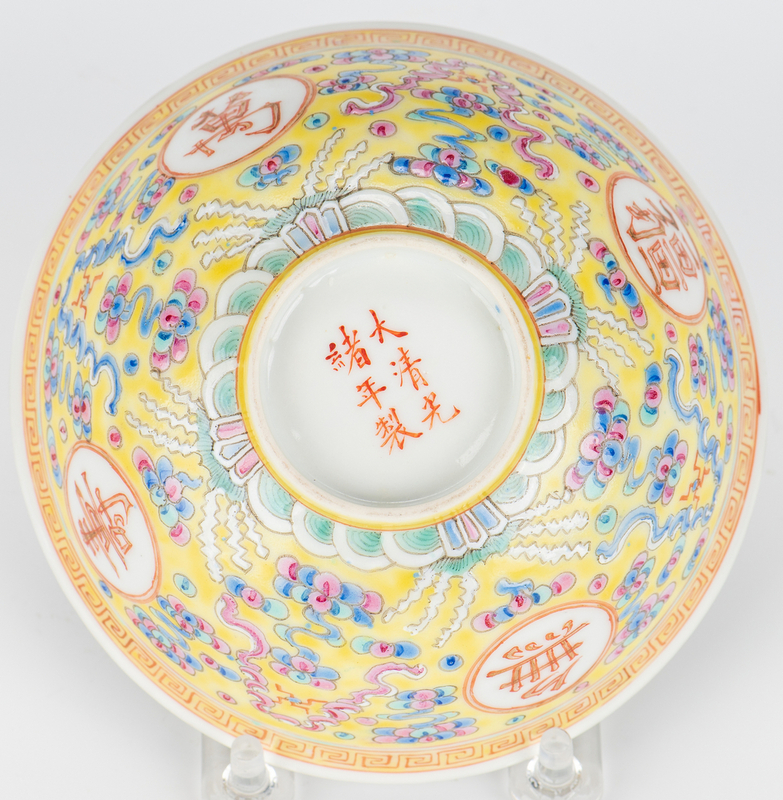 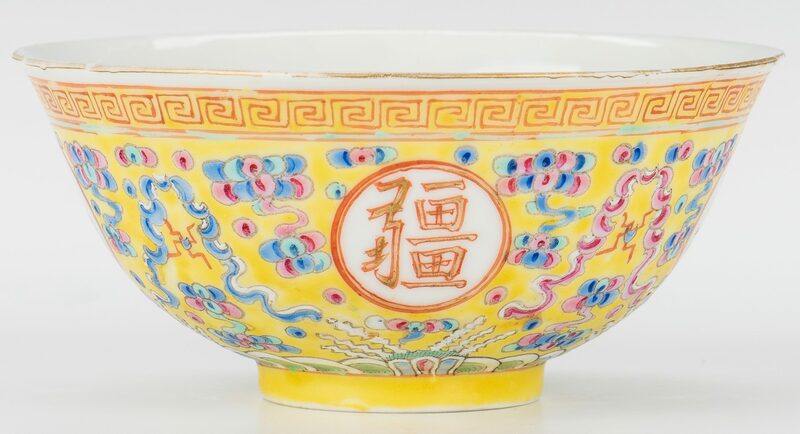 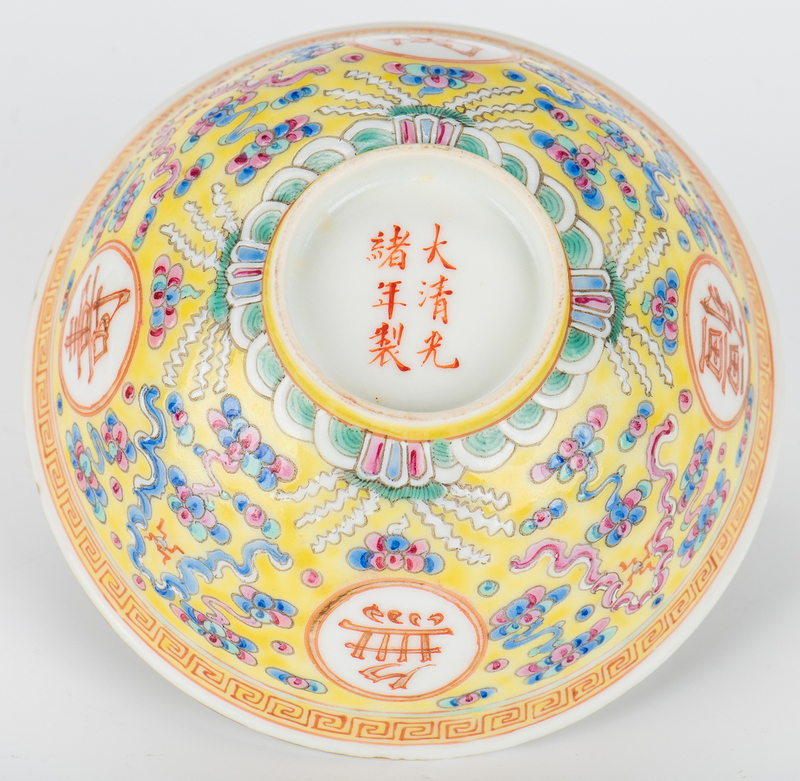 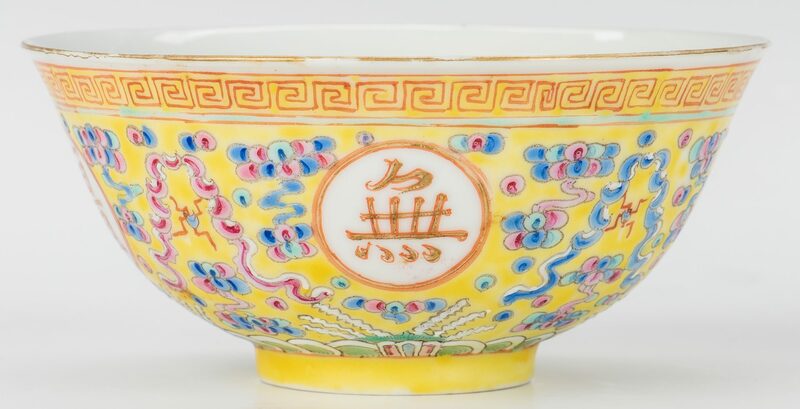 3rd-5th items: Three (3) Chinese Famille Jaune porcelain bowls, the exteriors with yellow ground and enameled character and fret work decoration and a wave border above the footed bases, the interior with red bat and longevity symbol decoration to the centers. 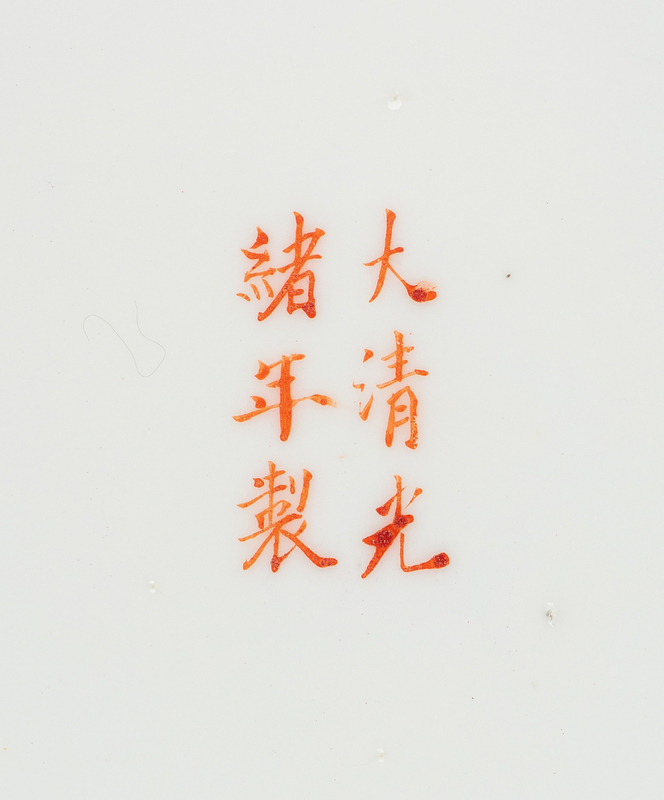 Red six character Kuang Hsu mark to the bases. 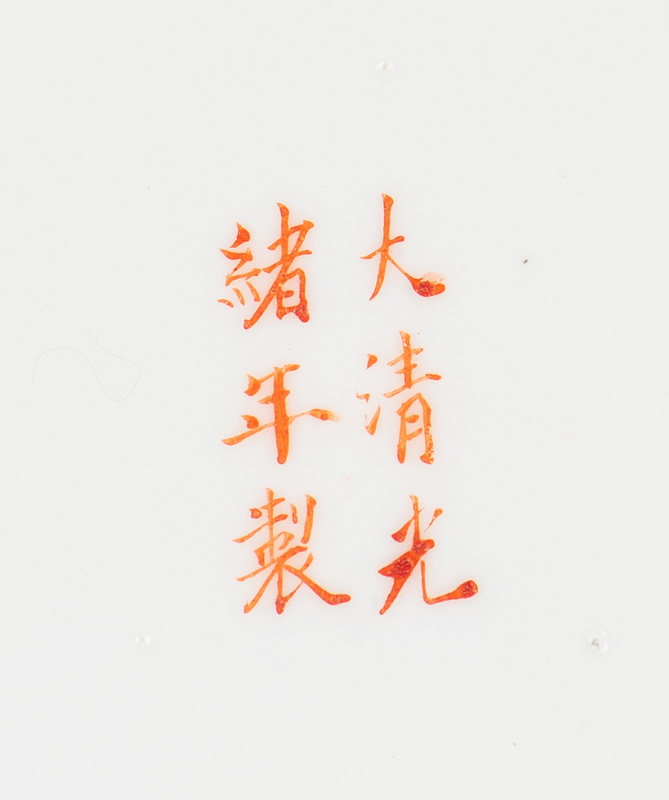 2 1/4" H x 4 7/8" dia. 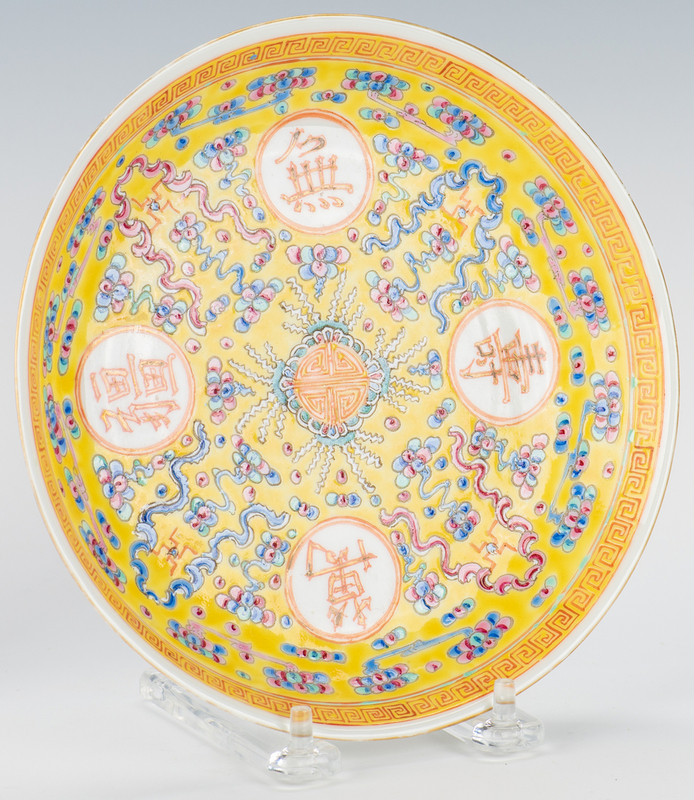 All pieces Late 19th/Early 20th century. 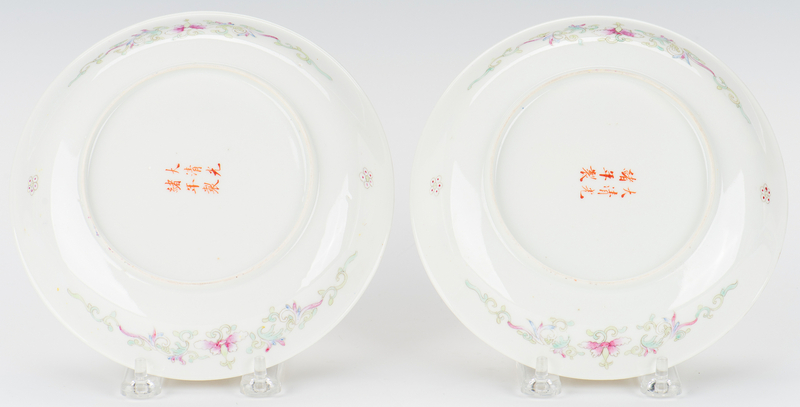 Provenance: Private Knoxville, TN collection. CONDITION: Light wear to gilt rims of bowls, otherwise overall very good condition.